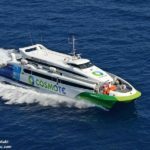 On July 29, the 55 meter long, 100 dwt high-speed catamaran passenger ferry Flyingcat 4 allided with the breakwater at Rafina, Greece. 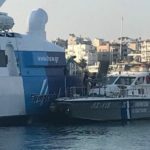 The vessel was heading into Rafina to dock with 209 passengers and 6 crew when it suffered a mechanical fault as it approached the breakwater. 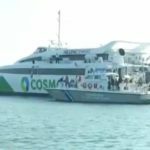 The ferry sustained damage, but there were no injuries on board. 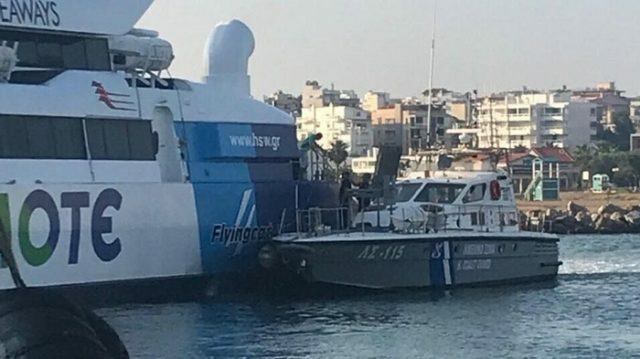 Greek coast guard dispatched vessels to the scene and transferred passengers off the ferry to shore. Reports state divers were requested to inspect the hull for damage.